Dwayne Perreault - Ah, Barolo. As they like to say here, "the King of wines, and the wine of Kings." If you want to appreciate it, you need to have patience, and let's face it, few people possess this trait nowadays. Really, a good Barolo should not be drunk until it's 10 years old, but if you want to purchase one of these finer old specimens in a shop here, count on spending between 50 to 100 Euros for a bottle. You can buy them for about a third or a quarter of the price when they're young, but you need to have a cellar and you need to have patience. Barolo the place is eye-candy: rolling land stretches out from the foothills (Piedmont literally translated) of the Alps where medieval castle towns sit perched on the tops of escarpments, looking over geometrically aligned terraces where virtually every square meter is planted with a Nebbiolo vine. I came here in a used VW Polo and on a budget, but what I found was winemakers consumed with a passion for their craft, good honest people ready to share their enthusiasm with a devotee, and willing indeed to share the wine itself. This place represents southern European hospitality at its best. But I want to talk not only about Barolo but all of Piedmont and Nebbiolo's neighbours, the Barberas and Dolcettos, the Freisas and Bonarda Croatinas and the white cousins, the Arneis, the Favoritas and Corteses. Piedmont is a cornucopia of grape varieties, and they are all delicious. Unfortunately, it takes less time to drink wine than write about it. Camping in a hazelnut grove in Vergne, a steep two kilometers west of Barolo, I awoke the first morning and realized I was a mere hundred meters away from G.D. Vajra, a quality vintner of the Nebbiolo juice. That's the way it is here: you can't throw a cork without hitting a winery. Owning 38 ha of vineyards (and renting another 12), Aldo Vajra started winemaking in 1972 and now produces about 250,000 bottles of different Piedmont wines per year. The winery is truly modern in nature, both functional and beautiful. I tasted 11 different wines, too many to explore in detail here, but these were some of my favourites: the Langhe Bianco Pétracine 2008 is a Riesling, which performs surprisingly well in this rather hot climate. Expressing white fruit with a citrus tint and mineral tone and 14% alcohol, this is a powerful wine which should be aged 3-7 years. Few Piedmont wines are made to be enjoyed young, but the Dolcetta d'Alba is an exception. Coste & Fossati 2007, from clay soils, has concentrated dark fruit with something dusty and dry in the aftertaste. 2007 was a very hot year and this is a powerful Dolcetto with 14,5% alcohol, very expressive. The Barbera d'Alba Superiore 2006, made from 50 year old vines and aged in new oak barriques, is quite tannic. It needs to be aged up to 10 years, but shows promise, with plummy ink and wood tones in the nose. The 2005 Langhe Freisa 'Kyè' (which is the Piemontese dialect for 'who?') 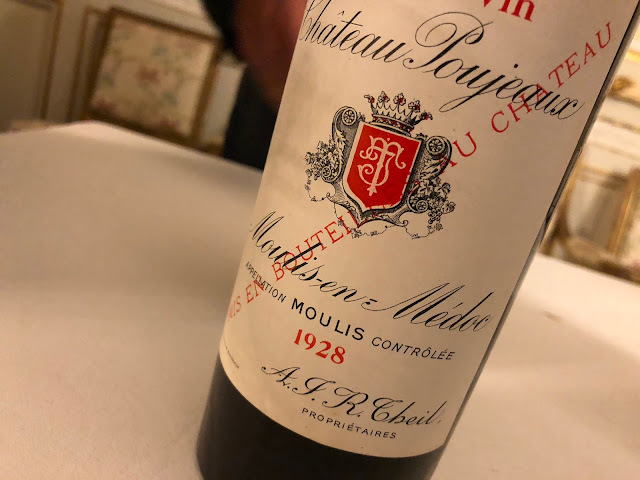 has a very fragrant bouquet of red fruit but is extremely tannic and needs another 7+ years of bottle ageing, after having experienced one and a half years in oak. 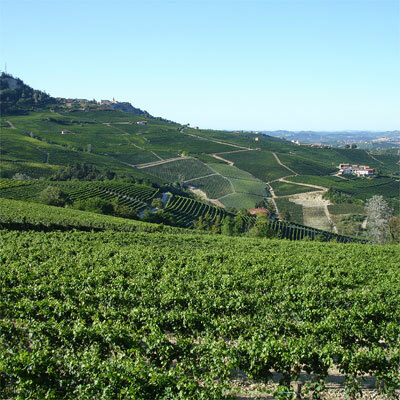 DNA research has proven that the Freisa is the ancestor of the Nebbiolo. This is a wine for game dishes. And now, the Barolos. The Bricco delle Viole 2005, a cask sample having undergone 40 months used oak ageing, has so much going on: ink, leather, tobacco, dark fruit and violets (as its name suggests). It shows incredible potential. The Vajras have purchased for their sons 5 ha of vineyards from the respected producer Luigi Baudana, who had no children himself. The Baudana name will be kept on the label out of respect for family tradition, and the Barolo Cerreta 2005 (barrel sample) is all dark fruit with good structure, already showing great tannic balance. By the way, Vajra also makes a Moscato d'Asti, and its just grapey and great. Small but good: Stra's cellar. 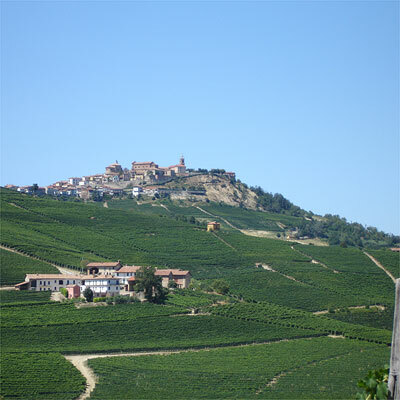 A much smaller producer is Roberto Stra in nearby Novello, just 3 kms away, working just 7 ha, but 3 of them in Barolo. This is an old-fashioned producer making traditional wines in an almost Burgundian way: the cellar is small but functional. In fact, only half of the harvest is vinified at home and the rest is sold to larger producers, as there is simply no room to keep the wine. Plans are being made to expand the cantina and hopefully in the future some wines will be available for export. Currently, all 15,000 bottles produced yearly are enjoyed locally. The Barbera d'Alba 2007 is pure delight: honest dark fruit expression, extremely straightforward, it simply drinks itself away. The Barolo 2005 is already stunning: forest smells and truffles intermingle with a still rather raw but developing alcohol in a taste sensation that is both noble and enticing. The 05 vintage is generally known to be very fruit-driven; it will be interesting to see how this wine develops. I don't pretend to speak Italian, but I can still understand a fair bit. Talking with the 80+ year old grandfather Giovanni in the courtyard under a blistering early evening sun (the azienda is in the valley, and so much hotter) I understood that the famous 04 vintage won first prize in a local tasting event, and that says a lot, considering nobody understands the wine better than the local Piemontese. I couldn't resist picking up a magnum; I only hope I can keep my hands off it for another 5 years! Great to read your posting about the Piedmonte and Barolo. I stayed quite often in La Morra (your second picture) and share your experience of hospitality of the people, the pride of winemakers about their product, the joy to share it with you. And not to forget, the region offers the greatest food to accompany all those wines. I visited and bought wines from Tenuta Montanello in Castello Falletto (the owner is one of the nicest guys I know), from Aurelio Settimo in Fra Annunziata, La Morra and could obtain just one bottle of Arborina from Elio Altare also in La Morra It is a 2003, so is still waiting. Reading your blog I wish I could jump in the car, go to Piedmonte and start with a glass of Arneis. "...Barolo should not be drunk until it's 10 years old..."
Thanks for the lovely article about my favourite wine region, however I am afraid that your statement on younger Barolo is based on hearsay from early '60's. 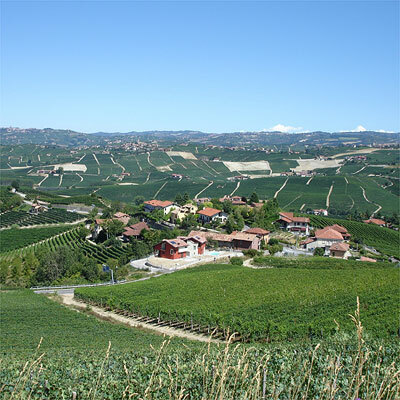 Before the 70-'s of last century the climate was cold and very humid in the Langhe area. So, in these days vintages bringing inaccessible Barolo's in the first years of their lifecycle, where not so exceptional. So, it is incorrect to assume that Barolo has no drinking window in the first 10 years today. There is a general rule that in the first 2 years after release the Barolo is ready for drinking, but after two years the wine will start shutting down and will be muted and very tannic. After 5 -7 years after release the wine will start opening again and start showing very subtitle tertiair notes. However, many Barolo 2000 are already open again (after a very short muted period) while 1996 is still a sleeping monster. Thanks for responding, your criticism of that statement is noted. Deciding when to drink a wine is one of the most controversial subjects, isn't it? My statement was that a 'good' Barolo should wait 10 years before its drunk. I agree 'good' is a bit vague, but I base my statement on what I was told by producers I met. Clearly there are differences in winemaking styles and also terroirs in Barolo, which make for different wines. By the same token, some people prefer to wait longer than others. Is there anything to be gained? I guess that's a matter of taste. But I can understand why you object to that statement, because it might imply that any Barolo under 10 years is not ready to drink. This is not what I meant. Both Vajra and Stra are producing wines that are clearly worth ageing, even the Barbera Superiore can age 10 years easily. But let's be honest: most will not. And I'll be even more honest: I have a Barolo 2004 magnum from Stra in my basement, but seriously I do not think I will keep it for another five years. The 05 tasted almost ready to me. I agree 5-7 years would be sufficient,and in my case it's impractical to store that long, since like many people I don't have a real cellar for long term storage of wine. Anyway, your point is noted. I didn't encounter any 02's of course, a terrible year. I'd be interested in reading your tasting notes, are they published on Vinoo? Barbera can age very very well in my opinion. Point is, that many people do not allow Barbera to age properly. try to find some old Barbera's in the market from interesting vintages like 89 or 90. You will be rewarded. 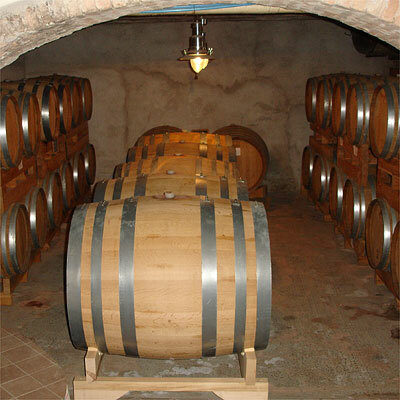 I have in my private cellar, some bottles of Barbera d'Asti from Giacomo Bologna and Angelo Gaja from '87 and '88. Not such a terriffic vintages, but these wines are fantastic. Barolo 2002 is a very weird year. Can you believe that some producers say, that Barolo 2002 was one of the best vintages in the past 10 year? Hailstom destroyed the crop for 90%. The ones that were not hit by hail storm, managed to make a great Barolo. Barolo Monfortino 2002 is such an example. Monfortino is a cuvee and only made from the best Nebbiolo grapes in the Cascina Francia vineyard. Selected by hand. In 2002, the crop was so good, that Roberto Conterno decided to pick ALL his Nebbiolo grapes for Monfortino!